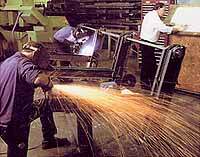 Our engineering department will design sawing systems to suit specific customer needs. 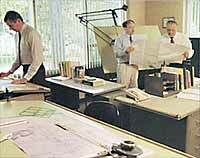 We also make our own foundation plans, wiring diagrams, spare parts lists, and operator instruction manuals. Building a bundle unscrambler for one of our full automatic sawing machines with bar loading table.